AHSP 2015 will ride the West Virginia Durbin Rocket! The DURBIN ROCKET is the latest tour that AHSP is offering for it’s attendees. This will offer a different train trip versus doing the same one each year in Cass. We hope that you will enjoy this option and sign up for the trip! The AHSP group excursion will be on Sunday August 16, 2015 at 10:00 AM. Arrive at the Depot by 9:30 for tickets and boarding. 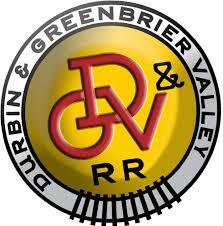 Carpools will form by 8:30 on the main yurt deck to arrive in time at the Durbin, WV Depot. We can accept new reservations for this trip as additions to your AHSP registration until July 31. Cost is $26/$18 per adult/child for the 2 hour trip, including a drink and snack. In century-old Durbin, the DURBIN ROCKET Excursion Train is powered by a very rare steam locomotive – Old #3, one of only three operating Climax geared logging locomotives on earth! Departing the Durbin Depot April through November, this 55-ton antique was built in 1910 for the Moore-Keppel Lumber Co. in nearby Randolph County. Today you can ride in authentic 1920-era coaches and vintage wooden cabooses behind Old #3 as she puffs and whistles along the free-flowing Greenbrier River in northern Pocahontas County. The ride covers 10.5 miles in 2 hours and offers many beautiful river and mountain views in the Monongahela National Forest. The DURBIN ROCKET is a perfect choice for families with younger children. The combination of open and closed cars give children the option of free movement through the train as she chugs her way to and from Hevener Station. An open car directly behind Old #3 offer ample opportunities to see coal being shoveled into the tender and watch as she takes in water at a watering hole along the way. Advantages for more mature riders on this signature steam-driven locomotive are the options of open-car views perfect for photo taking and sightseeing, plus closed-car comfort in the coaches and cabooses. New this season is the Steam Shutterbug Weekend event on November 7-8, with the 3:15 pm departure time changing to 2:30 pm. Excursions will also be available on Mondays – Labor Day (9/7), September 21, 28; October 5, 12 and 19. After your ride, visit the RAIL & TRAIL STORE on Main Street across from the Depot where you will find a large selection of souvenirs, gifts, & T-shirts, along with the famous “Big Scoop” hand-dipped ice cream cone. 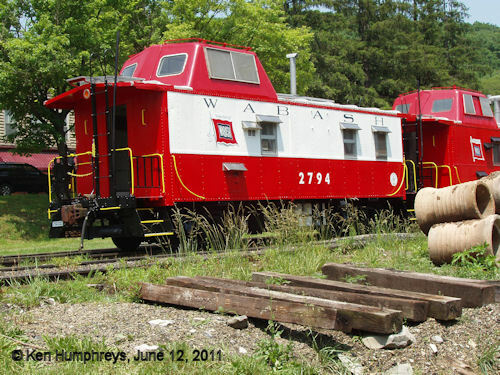 We invite you to share a few hours of relaxation and fun on the DURBIN ROCKET excursion train, and stay awhile to explore historic Durbin, West Virginia.